Kanjivaram sarees have gained ground since time immemorial and you will rarely miss this kind in an Indian Woman’s Saree wardrobe. At Craftsvilla, we understand the need for a fine, shiny, elegant, and stylish Kanjivaram Saree. They have a certain elegant way of making a Woman look like a Goddess has descended on planet earth. That is why we never fail to procure Kanjivaram Sarees that speak only obe language called traditional style. Our Kanjivaram Sarees are magnificent and they are made from the purest Kanjivaram silk. This ensures that you enjoy all the features and qualities that Kanjivaram silk has to offer; the shine, the perfection and the elegance. Trust Craftsvilla to offer you the best of Kanjivaram Sarees you keep dreaming about every day! Typically, Kanjivaram Sarees are made from Kanjivaram silk. Therefore, to understand its origin, it is important to understand the history of Kanjivaram Silk. Kanjivaram Silk is a type of Silk that is made from pure mulberry and is traditionally made by weaving long, unbroken silk. These Sarees have their roots traced back to Kanchipuram village in Tamil Nadu, India. Between the years 985 and 1014, a King belonging to the Chola Dynasty was the ruler of Kanchipuram. He had great interest in Silk trade and took the initiative to engage with regards to the same. Weaving communities moved to Kanchipuram during the reign of Krishna-Deva Raya. These communities are widely known as Saligars and the Devangas. Because of this migration into Kanchipuram, the Silk industry was moved to the city in the 15th century. These communities were excellent at weaving, however when the French invaded the country; the activities were put to a halt. Even so, by the 18th century, the practice was back on track and the Kanjivaram Silk was most popular and became the core material in making South Indian Sarees. These Sarees became a cultural mark for Weddings, ceremonies and other occasions. As time went by, these Kanjivaram sarees became very popular around the globe because of their durability and unique shine. We, at Craftsvilla, have taken up the duty to keep providing Indian women with Kanjivaram Sarees online as they have become a very vital part of womens clothing. A Saree is an Indian woman’s identity, after all! We also have a variety of different Blouses to suit your every style need! We at Craftsvilla strive everyday to ensure that your Sari speaks of class, elegance and sophistication. At Craftsvilla, other than making the best Kanjivaram sarees available, we strive to ensure that you look your best while wearing them. How you strike out as different from the rest depends on your choice to some extent too! That is where, we play our role of providing you with the best sarees, we strive to ensure that you know how to choose the best saree as well. We have a diverse collection of Kanjivaram sarees and picking one can be challenging especially since all of them are nothing short of spectacular. Even so, to help make your choice simpler, you can keep in mind the following features. The color: Different skin tones will blend with different colors. If you know the colors that look spectacular on you, this will be an easy choice. Also, if you have a lighter skin tone, a wide variety of colours will look good on you. Our Kanjivaram Sarees are bursting with vivid colours and coupled with the shine of Silk, and you have a winning outfit for every occasion! The style: Craftsvilla always tries to provide you with the perfect styles in terms of your Kanjivaram Sarees. We ensure that we come up with unique designs that will make you stand out in the style spotlight!The sleeves of the blouse and the neck type: Our Kanjivaram Sarees have different patterns and designs that are beautiful as well as flattering. Depending on the kind of neckline you want to sport, you will be able to choose wisely from our collection of blouses and designer blouses. There are also sleeves of different lengths with some reaching the elbow and beyond. Therefore, you can also choose how much of your arm you want to be exposed. Your body shape: This is also very vital when choosing a Kanjivaram Saree. You must always go for a Saree design that will accentuate the best features of your form. Kanjivaram Silk Sarees are every woman’s dream and especially because of their increasing popularity. As women seek to purchase these Sarees, we are striving to meet the demands and requirements by ensuring we offer high-quality Kanjivaram sarees online. We have some of the best Sarees with perfect designs. There are different Kanjivaram Sarees to fit all kinds of occasions. Whether you are looking for Kanjivaram sarees for bride or otherwise, we have got you covered. 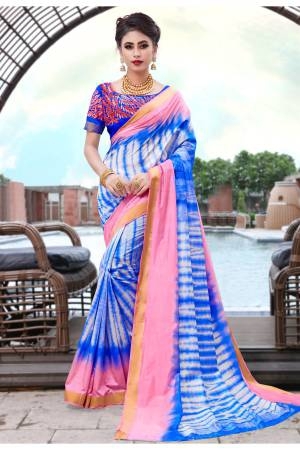 We consider it our prime duty to showcase Sarees that meet your standards and surpass them. Every woman wants to look angelic donning a Kanjivaram Saree and we ensure we offer uniqueness, style and creativity to ensure, your dream Saree world becomes a reality. Are you looking for a fun and smooth online shopping experience? Then, Craftsvilla is your perfect choice! Everything has been tailored to meet your need for ease and speed. All the shopping processes for Kanjivaram sarees are fast and direct. There are no hurdles when using our website or our mobile app. We are also a team that takes great care to ensure that we have new designs to showcase EVERYDAY on our websites to break the monotony of seeing the same things over and over again. Our Kanjivaram Sarees are also some of the most affordable yet the best-designed sarees you will ever find online!